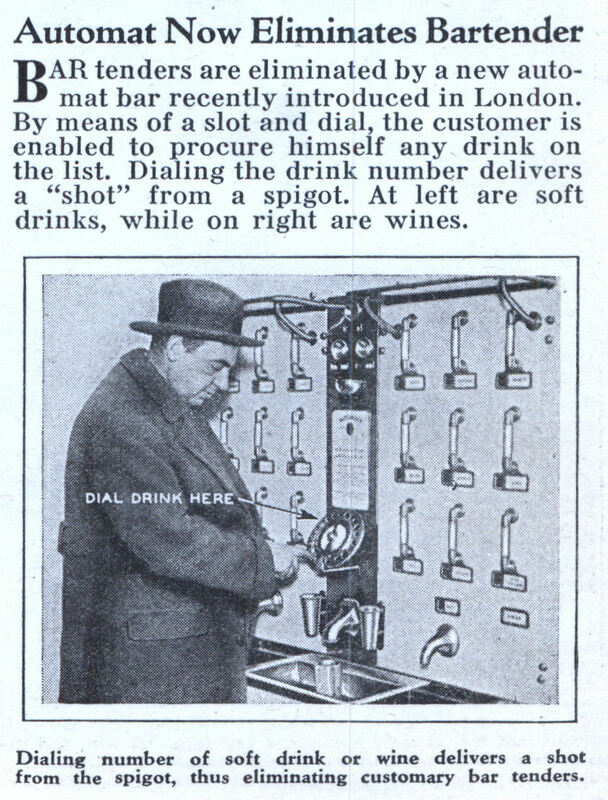 BAR tenders are eliminated by a new automat bar recently introduced in London. By means of a slot and dial, the customer is enabled to procure himself any drink on the list. Dialing the drink number delivers a “shot” from a spigot. At left are soft drinks, while on right are wines.